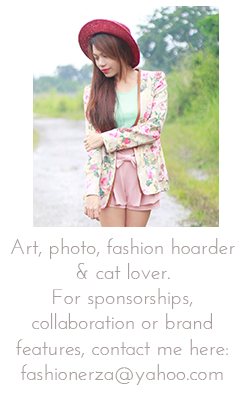 I don't like to put myself into any specific category when it comes to style. Limitations just ain't my thang. I wear what I want even if it's uncomfortable. This top is just so irresistible. How can I say no to bowed back? Since summer's almost here, you will be seeing a lot more of me wearing crop tops. A plain colored top is so perfect with printed heels. I love how it goes well together. I finally have the most comfortable printed heels I ever owned. I am so thankful to this shop, dresslily for the perfect pair. The heels look so beautiful. Another solemate! Yay! Here we go again Romwe addicts! 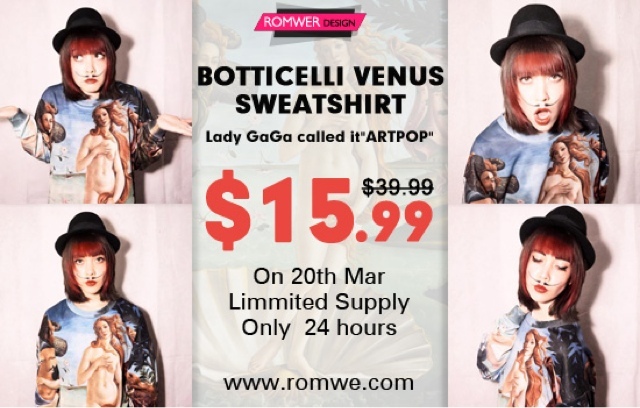 Botticelli’s Venus Sweatshirt you have never seen before! Not only bows are cute but the entire outfit that you are wearing! I love this outfit so much~ great photos! i love your fashion and your hair!! looks amazing. Love the look! So great! I really wanna give the flowered head piece a try this year! Thanks for your comment on my blog, perhaps you would like to keep in touch? Those shoes are a work of art!